The former President and former first lady will produce both TV shows and films under their new production company. 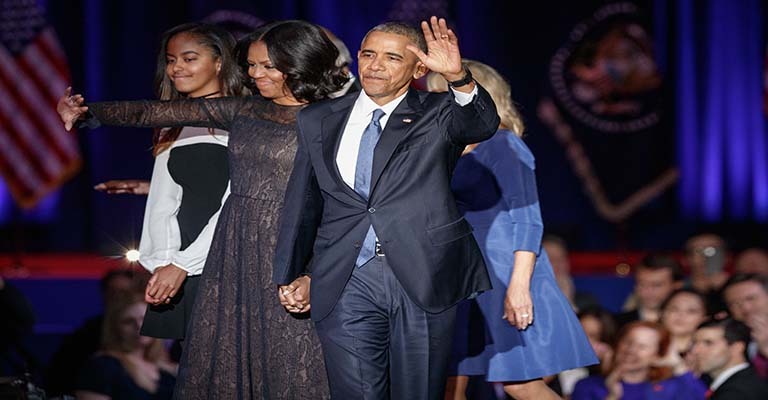 Former President Barack Obama and former first lady Michelle Obama have signed a multi-year deal to produce original programming for Netflix, according to an announcement posted on the streaming platform’s website. The multi-year contract will comprise both TV shows and films, however, according to a report in the New York Times, the former President has also told associates neither he nor the former first lady will use the platform to campaign against President Trump. According to the announcement, the Obamas’ mandate will include the potential for “scripted series, unscripted series, docu-series, documentaries and features”. Reflecting on the deal, Michelle Obama stated, “Netflix’s unparalleled service is a natural fit for the kinds of stories we want to share, and we look forward to starting this exciting new partnership”. The programming will be distributed through a company called Higher Ground Productions and, while no financial details were mentioned in the release, similar contracts between Netflix and other producers have accounted for fees of upwards of hundreds of millions of dollars. For example, the online streaming service recently signed Ryan Murphy, the former 21st Century Fox producer, in a deal rumoured to be worth $300 million. Since he left office in 2016, the former President has criticized President Donald Trump on issues including the Iran nuclear deal and his policies on immigration. Meanwhile, President Trump recently stated on Twitter, “The Wall Street Journal asks, ‘WHERE IN THE WORLD WAS BARACK OBAMA?’ [sic] A very good question!” in reference to a report recently published in the Wall Street Journal about comments the President made on Twitter. Obama has received a lot of criticism over the speaking fees he has commanded since leaving office. According to a report in the Independent, the former President made $1.2 million from just three speeches delivered to major Wall Street firms just one year after he left the White House. Meanwhile, the same report highlights that Hillary Clinton made $21.6 million from 92 speeches delivered to financial service institutions between 2013 and 2015. The deal with Netflix is another standout item in the pair’s business portfolio, which also comprises a $60 million deal with book publisher Penguin Random House.